Vermont thought background checks were these easy things that anyone could get. 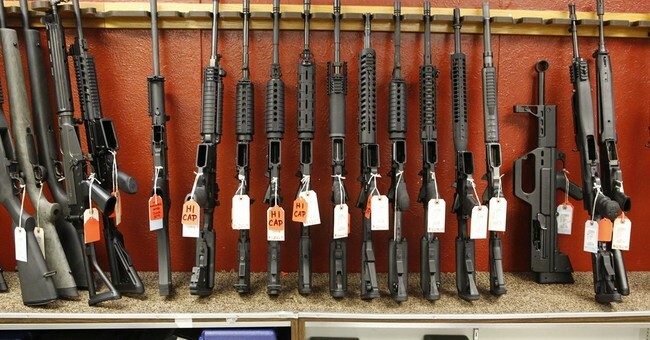 The state passed a universal background check bill and figured all was well. However, the state has learned that the background checks performed by state police are less comprehensive than the NICS checks. Vermont’s law enforcement agencies would not be able to carry out background checks on private firearms sales, the Department of Public Safety has determined. As part of a sweeping package of gun control measures that became law this year, legislators moved to expand background checks to private gun purchases, in addition to sales at gun shops, or through other licensed dealers. Lawmakers also asked the Department of Public Safety to find out whether state and local police, in addition to gun dealers, would be able to run background checks on sales that occur outside the retail sphere. But in a memo sent to legislators last week, the department found that Vermont’s law enforcement agencies, unlike federally licensed firearm dealers, are not authorized to request the FBI to run checks through its National Instant Background Check System (NICS). Through the system, the federal government can search through national databases of criminal justice, mental health, and military records, according to the memo written by the Department of Public Safety’s deputy commissioner, Christopher Herrick. If Vermont law enforcement agencies conducted background checks without the aid of the FBI and its system, they would be “incomplete” Herrick said, and limited only to state records. In other words, Vermont passed the universal background check bill without bothering to have all the facts at hand first. You see, lawmakers are often ignorant on firearms and firearm laws. They don’t understand that the NICS system is the only system in place that looks at both criminal and legal records to find those adjudicated as “mentally defective,” a somewhat archaic term for those who are mentally ill and considered a risk to own guns for various reasons. The lawmakers figured you could zip on over to the state police and get the check. Only, you can’t. It’s not a factor, which means you have to go through an FFL, which means they have to do all the rigamarole of selling a gun without actually selling a gun. Yet no one in the state thought to get clarification on this first? No one bothered to find out if the state police could do these checks before passing the bill? Now, in fairness, this might have been an afterthought. They passed the bill, then someone said, “You know what? Let’s see if the police can do these background checks,” only to find out they couldn’t. I mean, it’s possible. While police can gain access to criminal records from outside the state, it takes time. Even then, it won’t have the adjudicated findings because that’s generally not a criminal case. Unfortunately, this won’t be enough to make Vermont repeal its universal background check bill. That law isn’t likely to go anywhere for a little while.